This week's Latin American solar update is packed with news from Brazil, where rhetoric and hope have finally started to give way to action and progress. Honduras also continues to capture headlines as solar heavyweights rush to qualify for the lucrative bonus tariff before its August expiration. First, there are a few important stories that haven't gotten much play in the media. Antigua has completed its first major 1-megawatt PV project -- joining the solar-powered airports club with other Caribbean countries like St. Kitts and the Virgin Islands. 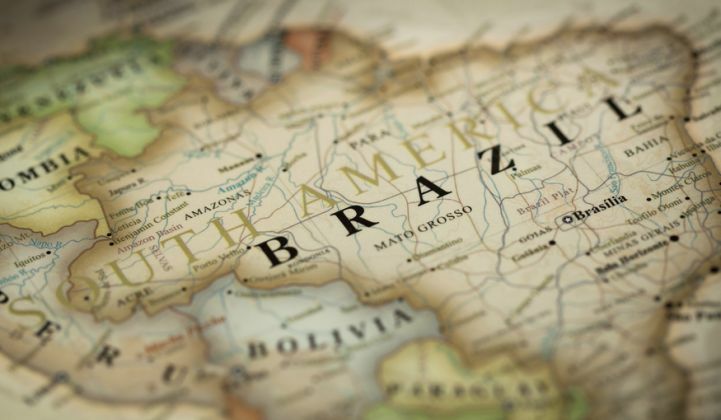 Second, SunEdison has signed an agreement to develop a 3-megawatt project for Grupo Telles at a cardboard plant in the Brazilian state of Ceara. This is one of the largest commercial deals in the country to date. Finally, another commercial project in Colombia gives more anecdotal backing to the rise of the commercial and industrial market in the country. Brazil has had a huge week. Enel Green Power brought 11 megawatts on-line, with two solar plants that bid into the Pernambuco auction at the end of 2013. These are the largest plants in the country, and the only ones so far to be built after receiving tenders. This won't be the case for long, though. Fotowatio has taken another step toward completing a 30-megawatt project in Ceara state after completing an environmental hearing. Solatio can say the same for its project in Minas Gerais. With all this activity, AES Brasil is now actively considering project acquisition throughout the country. Good news for distributed generation also came this week, as the state of Santa Catarina launched credit lines for net-metered solar projects, a big step in a country where high interest rates have prevented deployment of residential systems. Honduras is the other key solar market this week. Yingli announced it will be supplying 40 megawatts to Sybac Solar for several projects in Honduras. It joins Trina, SolarWorld, Canadian Solar and Jinko, which have all landed big supply deals in Honduras over the last few months. The World Bank has stepped in to provide loan guarantees for 80 megawatts' worth of SunEdison-owned projects, helping to backstop a market where credit risk is often prohibitive. SunEdison has doubled down on the country with its acquisition of GME from Actis, which includes several projects in the region. Chile has been a mixed bag for news, with first-mover developer Solarpack completing a 10.5-megawatt project in Tarapaca. On the other hand, Central Solar Desierto is running into trouble getting its 40-megawatt project connected to local transmission lines. This is not likely to be the last of these kind of issues -- GTM Research data shows that most of the pipeline is concentrated around a select few lines and nodes. Finally, an environmental minister in Mexico pointed out the potential for municipalities to explore contracts with solar developers to cover high public lighting costs. While these projects are rife with challenges, this is a niche area where GTM Research expects growth in coming years. For more on the booming Latin American solar market, including expert analysis, quarterly reports and data, check out the Latin America PV Playbook.